[dropcap]T[/dropcap]erracircle international development consultantcy is a Melanesia specialist working in the areas of food security, farming systems, livelihood development, project management and production of training manuals and other development reports in the South Pacific. TerraCircle also carries out some projects in Australia. 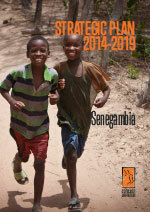 Strategic Plan 2014-2019 for Concern Universal Gambia and Senegal Country Program including expansion plans for Guinea Bissau. Resilience, Livelihoods and stronger local governance are the three main focus areas of the new strategy with 8 key strategies identified: partnerships, innovation, community empowerment, networking, capacity building, market approach, restoring and protecting the environment, social dialogue for peace. The story of the Kastom Garden Program in the Solomon Islands relates the history of this innovative, AusAID funded project that worked in community food security and small scale agricultural training with villagers. Author, Russ Grayson, was project manager. Handbooks by Russ Grayson for the development of rural livelihoods in the Solomon Islands, produced following the coup and intercommunal confilct. The handbooks were written for rural youth and were distributed as part of an AusAID funded Sustainable Livelihoods for Rural Youth Project, a training program. Growing income for Solomon Island farmers using tree crops. Breeding and keeping pigs for incomea nd food in the Solomon Islands. The isolated areas reports provide situational analyses on the weather coasts of Guadalcanal and Makira as well as the uplands of central Malaita island. The reports compile information derived from participatory assessment, consultation, investigation and observation of the food security, energy and other needs of the isolated areas. TerraCircle carried out the assessments with Kastom Gaden Association staff and AusAID funding. International development and relevant government agencies and researchers are welcome to download and make use of the information in the reports to improve the food security, livelihoods and living conditions of the peoples of the isolated areas of the Solomon islands. Editing and design by Russ Grayson. The Guadalacanal weather coast assessment. The report of the 2005 Kastom Gaden Association assessment of the food security, livelihoods potential and energy resource needs of the Guadalcanal Weather Coast, Solomon Islands. Editing and design, Russ Grayson, TerraCircle consultants. The Makira weather coast assessment. A report of the 2006 Kastom Gaden Association assessment of the food security and livelihood potential of the Weather Coast of Makira, Solomon Islands. A production of Kastom Gaden Assoication, Honiara. Editing and design, Russ Grayson, TerraCircle consultants. A report of the 2007 Kastom Gaden Association assessment of the food security and livelihood potential of East Kwaio and Central Kwara’ae regions of Malaita, Solomon Islands. A production of Kastom Gaden Assoication, Honiara, Solomon Islands. Editing and design, Russ Grayson, TerraCircle consultants. Produced as the series, Training Tools for Pacific Island Communities, the manuals were produced for the Solomon Island Kastom Garden Association training staff. Editing, some writing, conversion into competency-based learning format and design by Russ Grayson, TerraCircle consultants. Written by Emma Stone who spent periods working with the Solomon Islands Planting Materials Network, a farmer’s seed saving and plant propagation network, to improve the operation of the Network. Emma’s latter period with the Network was as an Australian Youth Ambassador, a program set up by AusAID. Ideas to improve the productivity of home and bush food gardens so as to improve village food security and family nutrition, based on the LEISA (Low External Input Sustainable Agriculture) model of small scale farming. Illustrated. Written by Kastom Gaden Association program manager, Roselyn Kabu, included are traditional and modern approaches to the organic management of Pacific island crop pests as assessed during an AusAID-funded project on Malaita. Written by Australian chook specialist, Russell Parker of PermaPountry, this is a manual illustrated with line drawings and photographs that describes the keeping of chickens for subsistence and market in the Solomon Islands. Includes breeding, housing, pests, feeding with local resources. The manual may be applicable to other Pacific islands in the wet martitime tropics. Report of the Gwaunifiu meeting of the Melanesian Farmer First Network 2004. This is an assessment of what has worked and what has not. Compiled by Tony Jansen, TerraCircle program manager, and Grahame Jackson, TerraCircle crop pathologist. Editing and design by Russ Grayson. The Solomon Islands Planting Material Network is the farmer’s network supported by Kastom Gaden Association. Planting your seeds to improve your family’s health brochure explains how to save your own seeds. The brochure was produced by Russ Grayson in 2001 for the Solomon Islands Planting Material Network, and funded by AusAID Community Peace Restoration Fund following the intercommnical conflict.